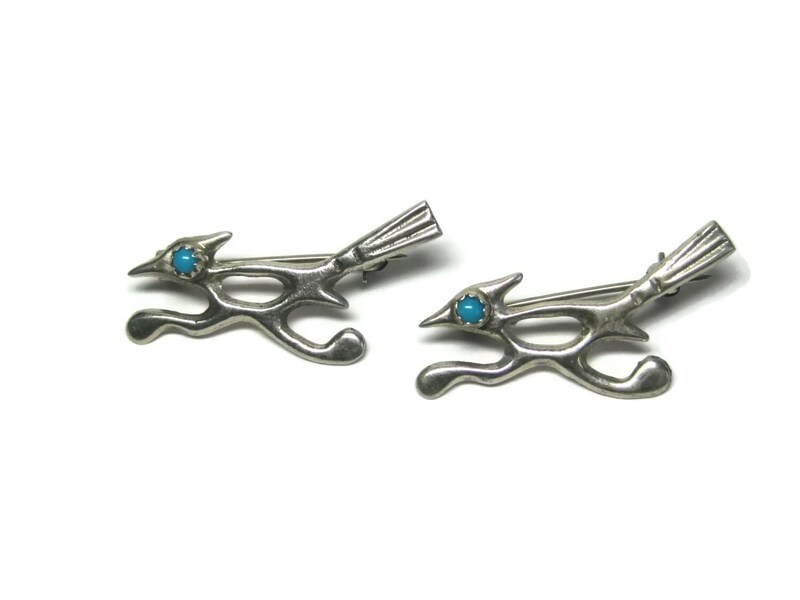 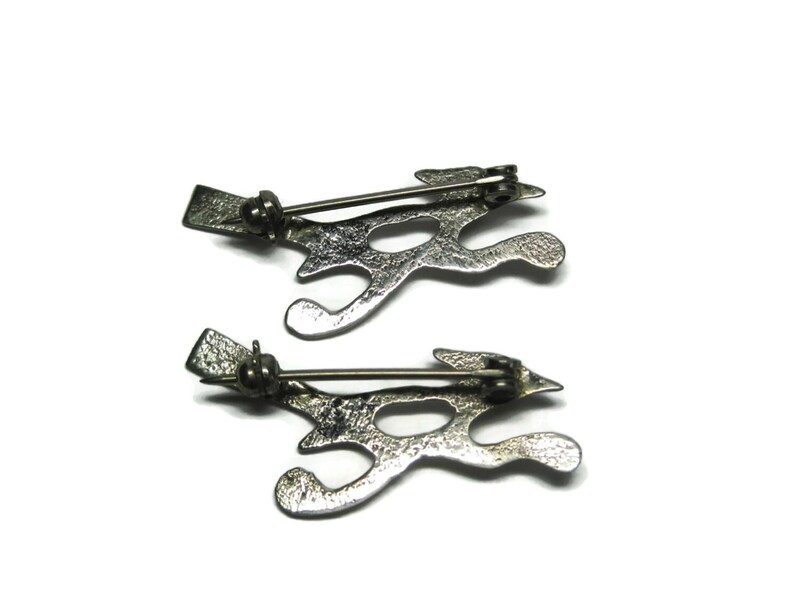 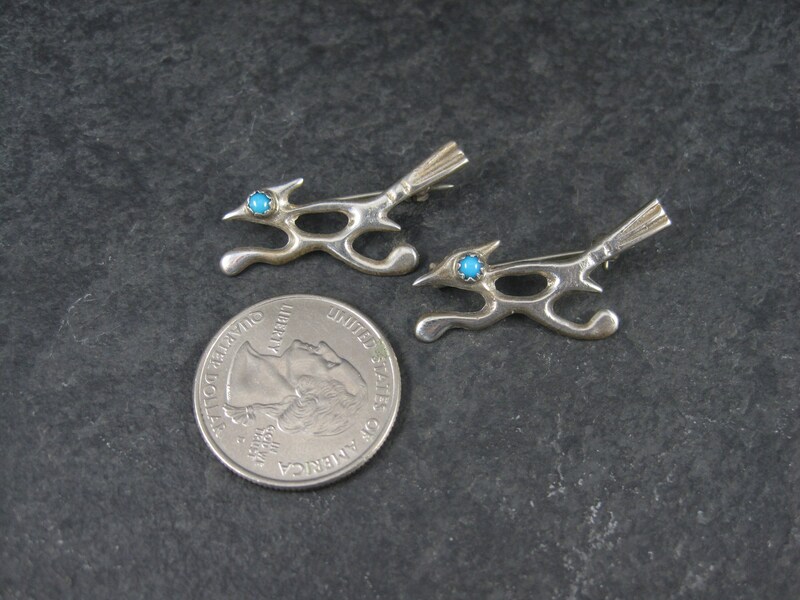 These adorable little roadrunner pins are sterling silver. 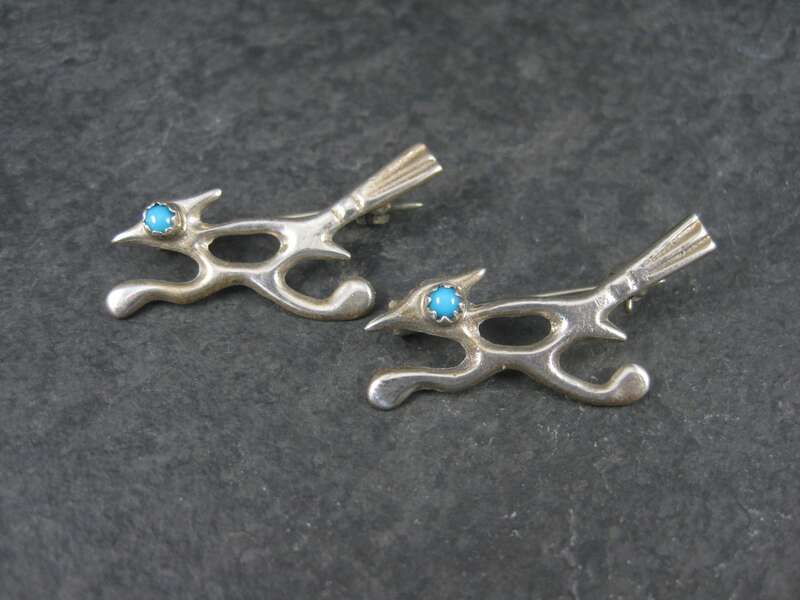 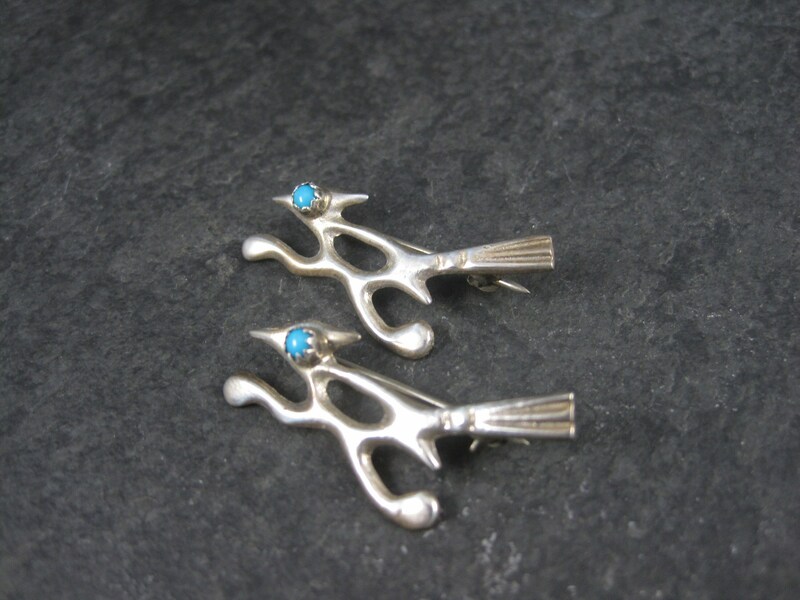 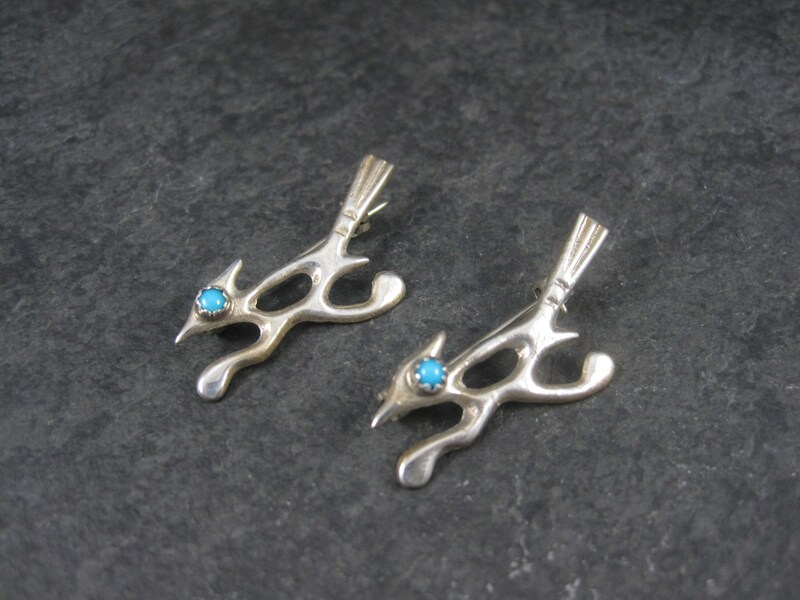 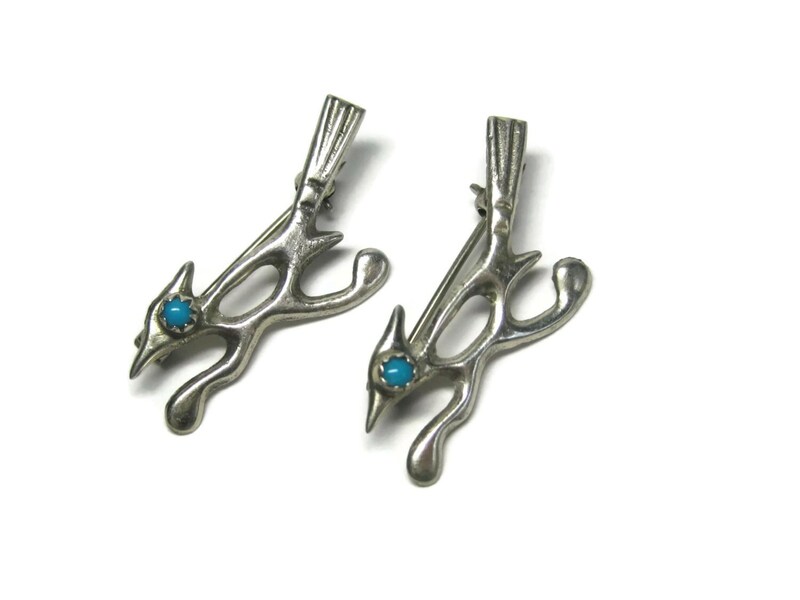 Each features a tiny snake eye turquoise gemstone. 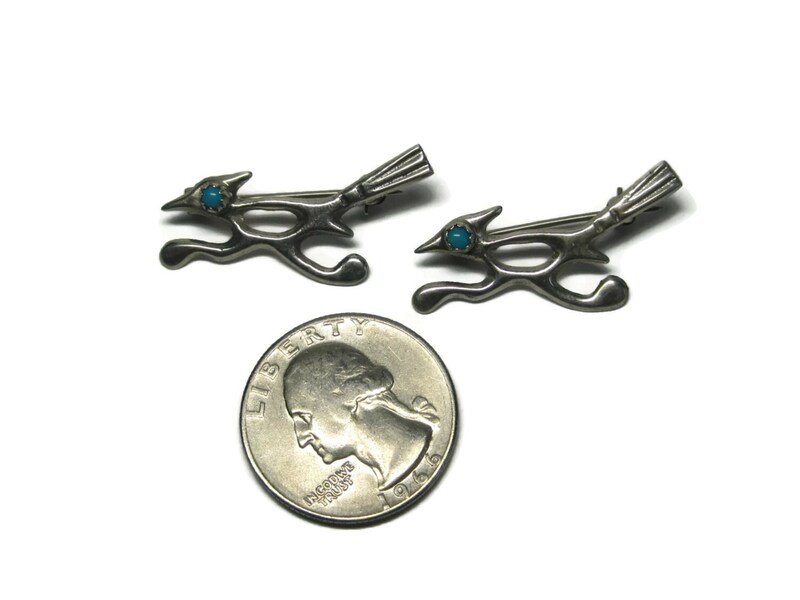 Measurements: 5/8 by 1 5/16 inches. 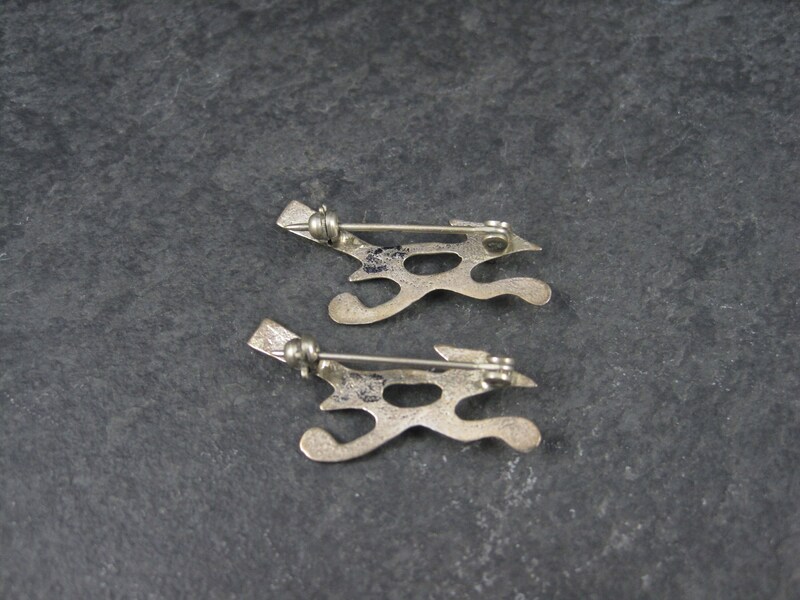 Acid tests as sterling silver.